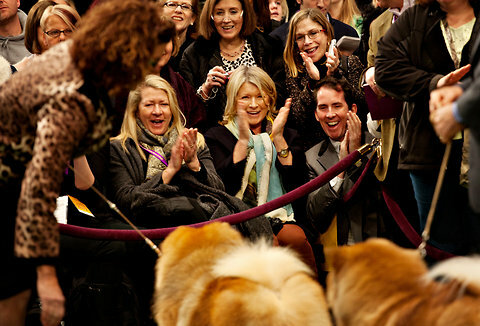 It’s a good thing the doyenne of all things domestic was on hand at the Westminster Show yesterday, because her chow chow Ghengis Kahn took top honors. It appears that Martha might have stolen his spotlight though as hordes of press and her own camera crews stayed focused on her. This entry was posted on Tuesday, February 14th, 2012 at 11:37 AM. It is filed under Blog. You can follow any responses to this entry through the RSS 2.0 feed.